Take the No.1 street car from Nagasaki-eki-mae to Tsuki-machi. 4-minute walk from the stop. about 35 minutes to the Nagasaki Shinchi bus stop. 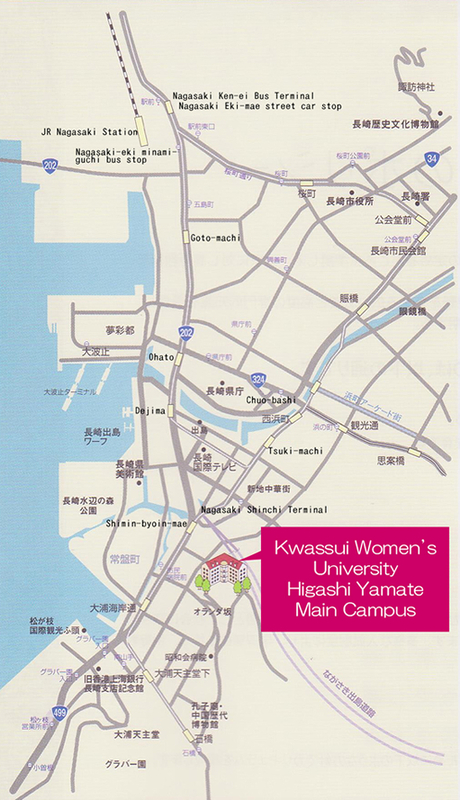 The main campus is a 10-minute walk from the stop.